Expo 15-Piece Dry Erase Markers Just $13.49! Down From $29! You are here: Home / Great Deals / Amazon Deals / Expo 15-Piece Dry Erase Markers Just $13.49! Down From $29! Score this Expo 15-Piece Dry Erase Markers Set at Amazon for only $13.49 down from $28.89 PLUS FREE shipping with Amazon Prime or for orders $25 or more! Keep your classroom engaged, create compelling presentations and stay organized at home with Expo Low Odor Dry Erase Markers. The #1 dry erase marker brand, these whiteboard markers are available in a bold range of colors that produce consistent marks with less skipping. Use Expo dry erase markers to track, schedule and present your point in a brilliant fashion. Intense, bold colors take center stage even from a distance. 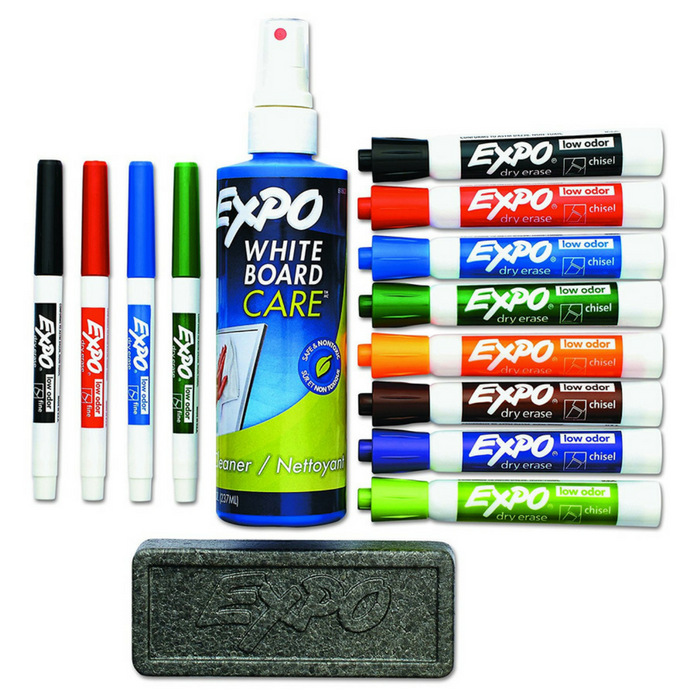 You can get Expo wet or dry erase markers in a wide range of tip sizes, ensuring your point gets across. Erasing is also a breeze, wiping away cleanly with a cloth or Expo eraser from most non-porous surfaces.